Prepared by Nathaniel Branden in the late fifties and with the endorsement of Ayn Rand, these lectures were developed and devoted to a presentation of Ayn Rand's philosophy, including aspects that had not yet been covered in her written works. Additionally, Mr. Branden's extension of Objectivism into his own field of psychology gives special emphasis to the concepts of human nature, mental health and personal development. The Basic Principles of Objectivism offers a detailed, systematic exposition of the philosophy defined by Ayn Rand and presented in The Fountainhead, Atlas Shrugged and For the New Intellectual. 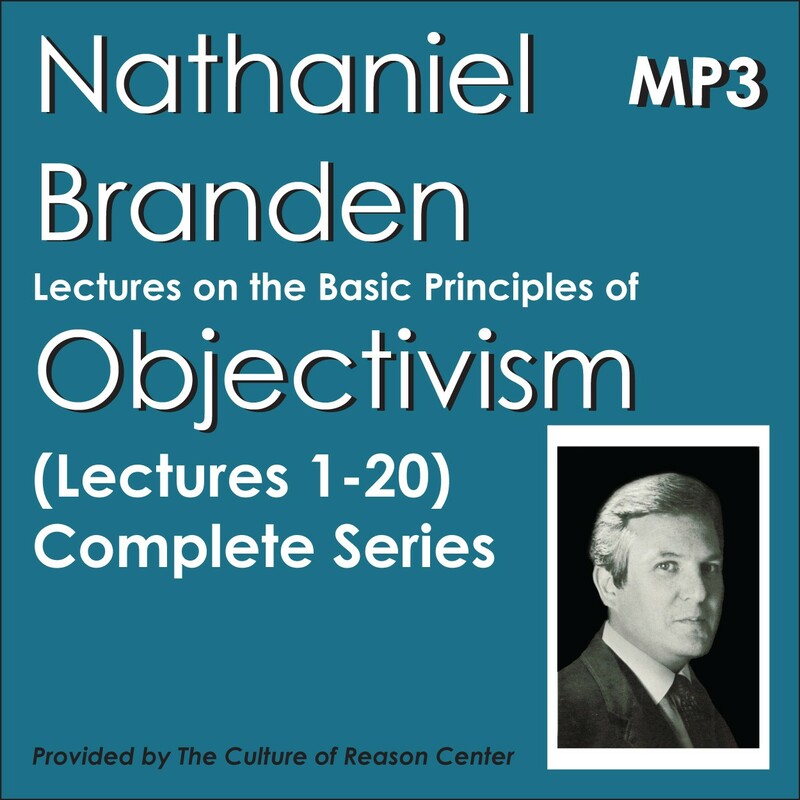 For the first time ever, you can now download these original Nathaniel Branden Institute (NBI) lectures from The Culture of Reason Center store.